We are very fortunate to have the backing from well known Dharma teachers for this endeavour. A few of whom have shared a few words of support for Spring Up Foundation and its creators. "Access to education must be considered a universal Human Right, but today young Palestinians are systematically deprived of this means to expand and explore their human potential. Supporting Spring Up Foundation’s work will help provide the vital opportunity of higher education for young Palestinians." 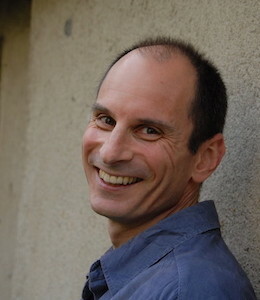 Rob Burbea has practised and studied Dharma since 1985. 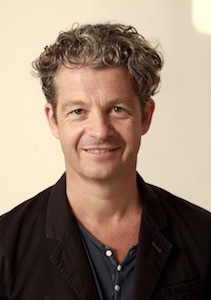 Teaching since 2004, he is currently a Gaia House Resident Teacher and a member of its Teacher Council, as well as a Guiding Teacher of Freely Given Retreats. He is a co-founder of SanghaSeva, an organization exploring the Dharma through international service work, and a co-initiator of DANCE, the Dharma Action Network for Climate Engagement. Rob is the author of Seeing That Frees: Meditations on Emptiness and Dependent Arising. "Having very recently visited both Israel and the Palestinian territories, I know that developing many nonviolent collaborative projects between Jewish Israelis and Palestinians is so crucial to actualizing the long-term vision of a durable peace and reconciliation. Furthering the education of young Palestinians, in response to the Foundation’s friends in Deir Istya, seems like a wonderful way to help to foster hope, trust, mutual respect, creativity, and purpose." 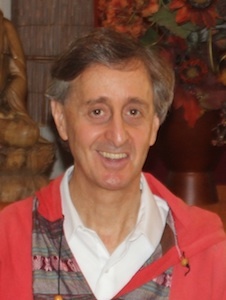 Donald Rothberg, Ph.D., a member of the Teachers Council at Spirit Rock Meditation Center in California, USA, has practiced Insight Meditation since 1976, and has also received training in Tibetan Dzogchen and Mahamudra practice, working with trauma, and the Hakomi approach to body-based psychotherapy. A former teacher at the University of Kentucky, Kenyon College, and Saybrook Graduate School, for many years he has regularly taught insight and lovingkindness meditation, and on transforming the judgmental mind, mindful communication, working skillfully with conflict, and socially engaged Buddhism. He has helped to guide three six-month to two-year training programs in socially engaged spirituality through the Buddhist Peace Fellowship (the BASE Program), Saybrook Graduate School (the Socially Engaged Spirituality Program—an interfaith study and practice program), and Spirit Rock (the Path of Engagement Program). He is the author of The Engaged Spiritual Life: A Buddhist Approach to Transforming Ourselves and the World. "I am very happy to support and recommend the Spring Up Foundation. I have known the founders, Zohar Lavie and Nathan Glyde, for 20 years as friends, colleagues, luminous human beings and tireless activists for social, humanitarian and ecological care. I have great respect for both their wisdom and their work. They bring deep integrity, fierce compassion, liberating vision and bold creativity into their numerous projects around the world." We would like to mention a couple of organisations that have been very supportive of Spring Up. Benoit Martin has gone our of his way to help Spring Up with technical advice about setting up our website. He also arranges our domain registration, and hosts our website for free. Meaning it is so much easier for us to say "all the money we raise goes to the cause it was raised for". We thank Benoit (and Spun) for his devoted generosity, warmth even when sharing very complex information, and his incredible availability when we hit a crisis or a gap in our knowledge. This small Swiss email provider was quick to respond to our request for help. They now host us for free on their 'mini' plan which would otherwise cost Spring Up $60 a year. Migadu have been so fast to reply it's felt like they are waiting online just to help, and their generosity will really make a difference to what we can achieve.